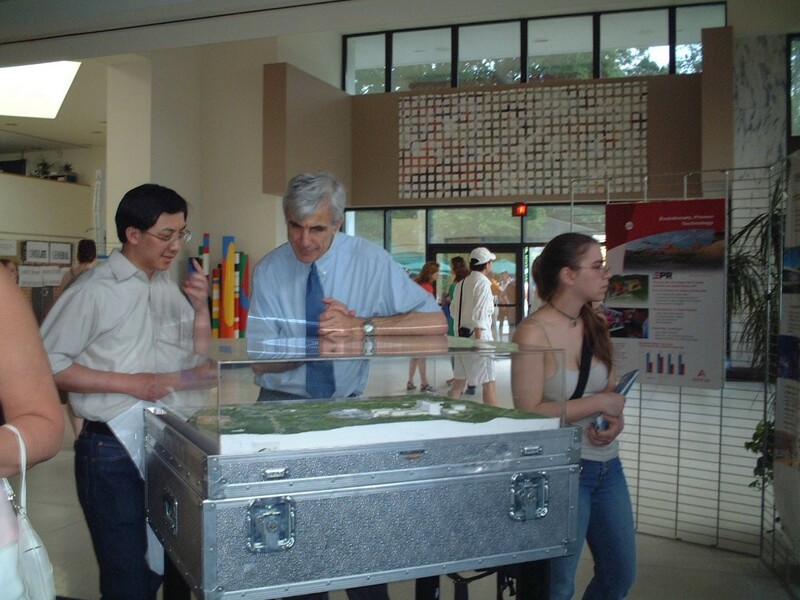 Middle: Nuclear Counselor Jacques Figuet of the French Embassy in Washington, explaining the ITER site model to a visitor. A science open day was held for the first time at the French Embassy in Washington DC on Saturday 12 May. ITER was presented through a scale model and brochures provided by the ITER Organization and Agence ITER France. Some 3700 visitors turned up, roughly three times more than was expected. From the reactions of the public it was clear that there was a keen awareness of climate change and a strong interest in nuclear energy, in particular in the French nuclear program. The ITER model drew the attention of young and old.